Tires experience some of the most “wear and tear” on any vehicle. It is impossible to avoid since they’re the part of the car that is being dragged along concrete roads at high speeds. 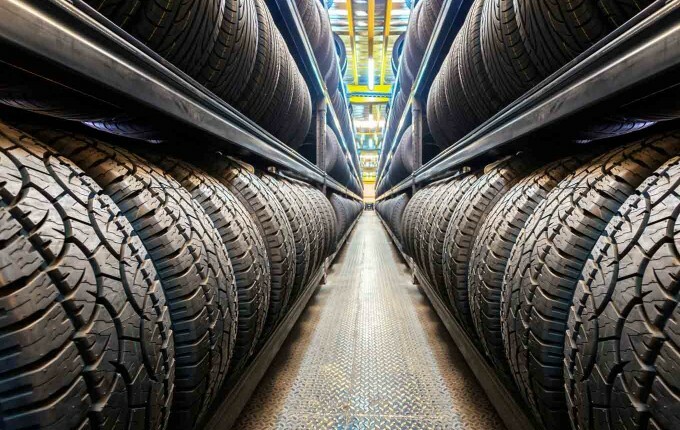 Ensuring that the tires are in good shape is essential for the safety of anyone within the vehicle, and even outside of it. You want to make sure that the tread is still good enough to navigate through situations with icy roads, lots of rain, and even mud that you could get stuck in. For all of these reasons, amongst others, tires deserve your attention and care. This is a tricky question to answer, with no “one size fits all” formula. The easy answer is that every and any tire should be changed every six years, even if it sat in a garage for that time. What complicates the prescription is the number of factors that affect the regularity for changing tires, because much of the time it should be more frequent. Usage is important when considering new tires, as well as the type of surfaces that are driven on. Rough surfaces will wear tires down quicker. Driving habits play a part as well, like fast cornering and heavy braking. Tires can be expensive so people have a tendency to push the use further than they should. This puts everyone at risk and shouldn’t be done. Even vehicles with good safety reputations like the Ford F150 are huge responsibilities to drive, and should be treated as such. The tread depth on your tires should never be below 1.6 millimetres. This is a bare minimum though. If you drive in areas with heavy rainfall or snow, you want the tread to be double this. A standard trick you can do to gauge whether to get new tires is with the American Lincoln penny. Put it in-between the tread, top down. If you can see his whole head it is time for new tires. Your tires also might begin to blister or bulge as they age. This is evidence of weakening rubber giving out to the stress and weight of the car. Another way this may show is through excessive vibrations while driving. Of course, there are many reasons why vibrations might happen while driving and a little bit of shaking is inevitable, but excessive amounts is not normal. It you can’t seem to find the reason why it’s happening, weakened tires might be the culprit. Newer tires tend to be made with a tread wear indicator bar. This simplifies the process significantly. When the tires are brand new you won’t notice anything different about them, but as time goes on they wear down. At a certain level there will be flat rubber bars running across the tread to indicate it’s time for new tires. Keeping up with maintenance is an easy way to lengthen the life of the tires. Pressure levels should be checked on a monthly basis. If the tires get too flat the excess drag will cause the tread to be worn down quicker, particularly on the edges. This does not mean you should over inflate though, as that is equally as damaging. That would cause the centre of the tire to wear more quickly than the rest. If you’re ever in doubt as to whether they should be changed, it is the tread you need to evaluate. If you don’t have the knowledge, then take them to a professional to get an opinion. Another thing you can do to prolong the lifespan, is to make sure that the wheels are aligned. Tires will serve you best when they are used properly and aligning them is the best way for this to happen. Certain areas of the tire will receive more pressure than others when out of alignment, meaning they will be worn unevenly and prematurely. Finally, as previously mentioned, driving habits can affect the wear on tires. Bringing your vehicle to a screeching halt will erode the tread, as will sharp turns. Drive smart because it will not only extend the tires life, but it is also safer for you and everyone around.